Carlo brings valuable worldwide experience to his new role at Acropolis together with an extensive knowledge and understanding of client needs in the luxury business air charter market. In his new role, Carlo will be responsible for growing market share and maximising the revenue opportunities provided by Acropolis’ current Airbus ACJ319 aircraft, G-NOAH, and its new ACJ320neo, which is due to be delivered in 2019. 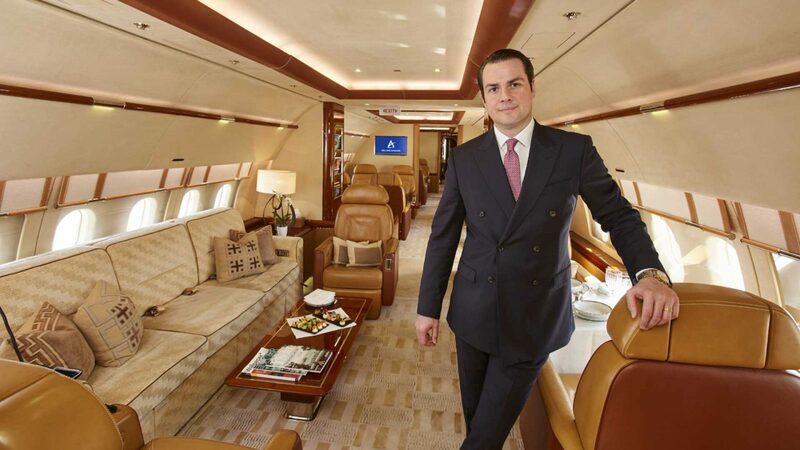 Before joining Acropolis, Carlo spent four years facilitating Bombardier Global 6000 charter sales for private charter company VistaJet and was instrumental in developing new business worldwide, with a special focus on the Middle East, USA, Africa and Asia. Prior to that, he was Commercial Director at FlairJet during a period when the company was broadening its fleet beyond Embraer Phenom 100 and 300 aircraft management operations. Carlo Montanini commented, “I am delighted to join the Acropolis Aviation team and excited to be playing a key role in expanding the business and our client base worldwide. I will manage charter sales of our high-specification ACJ319 and then our eagerly anticipated new ACJ320neo. “Carlo understands our business and the attention to detail we pride ourselves on. His significant experience in the sector internationally will serve us and our existing and future clients well,” added Jonathan Bousfield, CEO of Acropolis Aviation. Acropolis Aviation will be exhibiting on at Booth D69 at this year’s European Business Aviation Convention & Exhibition (EBACE) event in Geneva, Switzerland between 29-31 May, 2018.